i was trying to get into the 9's and i made 9.9 wehoo. My best ever which is just pure luck, was .001. 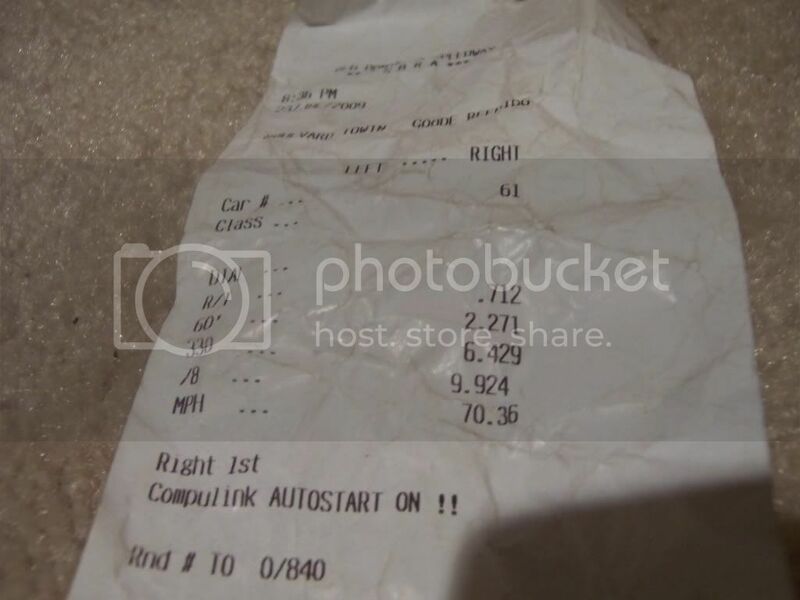 I was pissed, a .000 at rockford raceway nets you a 20,000 dollar snap on toolbox full of tools. Then again, I was taking easy on it since I didn't want to bust a spider gear. I hate 1/8 mile but I guess if that is all that is available it is better than nothing.